Group B consists of an exciting cocktail of power, pluck, passion, and experience. 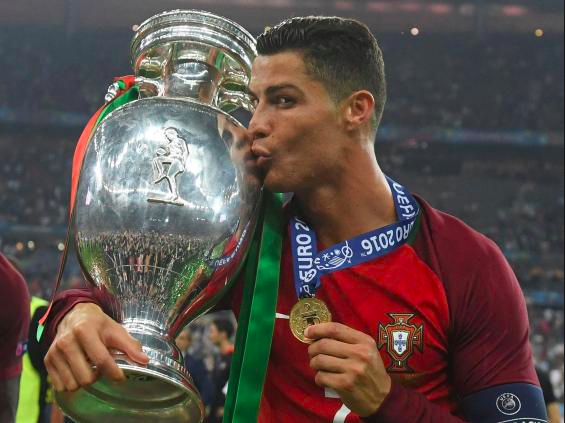 While Spain is an outright favourite to win the World Cup, the group consists of the ever-formidable Portugal, a well rounded Moroccan squad, and a spunky Iranian side. All the games in this group shall be a mouthwatering clash of various philosophies; from Spain’s tiki-taka to Morocco’s long ball approach. Each team’s performance in the group stages will set the tone of each team’s campaign in the footballing festival’s Russian edition. Easily one of the favourites to win the group, Spain will be looking to write history in their favour come this edition. A team well endowed with talent, depth, and experience, Spain cruised through the qualifiers with ease, 4 players scoring 5 goals each. Such is their depth that one of the four players, Alvaro Morata, was not even included in the 23 man squad. 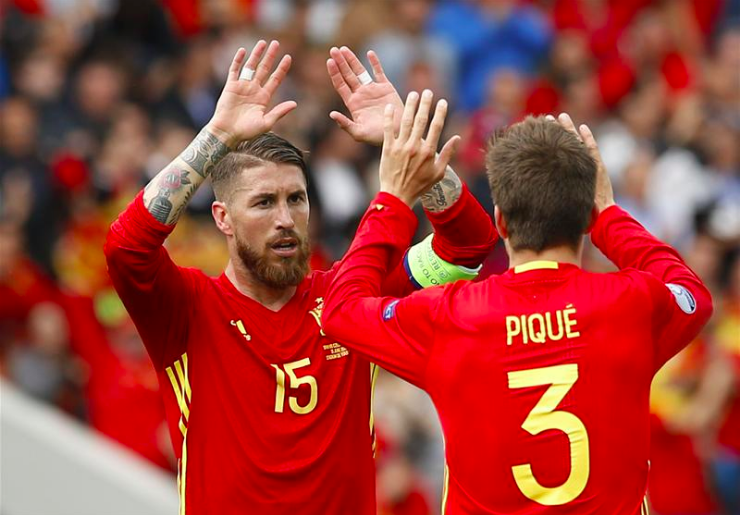 Playing in the 4-3-3 formation, Spain will attempt to recreate their golden run, looking to the experience offered by hardened veterans like Iniesta, Ramos, Pique, and Busquets, who are veritably still in their prime. However, Julen Lopetegui has a lot more in his arsenal to offer, with creativity in Isco, Koke, and Aspas, attacking instinct in both their Full-Backs and pure aggression in Diego Costa. His greatest weapon, however, is David De Gea who is easily the world’s best goalkeeper based on current form, and a proven matchwinner. Spain should finish at the top of this group with ease, playing their conventional style of possession and passing, coupled with an attacking flair. Having said that, the La Roja might find it difficult to score past teams that sit back and defend, but with their quality and experience, it shouldn’t be much of a problem. The defending European Champions should be relishing the idea of going head to head and asserting dominance over their neighbours. This is not a task that is as impossible as you’d think. A rising force in Europe, Portugal have lost only once in their last 29 competitive games and would want to improve that record in the coming games. Still playing the football of his life, Cristiano Ronaldo is easily Portugal’s most valuable player, having netted 2 hat-tricks in the World Cup qualifiers. However, Portugal are not a one-man team, as they demonstrated in the Euro finals, and would want to get rid of that label once and for all. Rui Patricio, whose club future is uncertain, will start at goal, and Portugal’s hopes will depend on the able shot-stopper should the game go to penalties in the knockout rounds. Both Bernardo Silva and Quaresma will be fighting for a spot after successful club runs, but Silva might tip Quaresma for a spot in the playing 11. Similarly, both Bruno Fernandes and Andre Silva will fight for a spot alongside Ronaldo, depending on what system is used. Portugal’s Achilles heel might turn out to be their Centre-Backs, Pepe and Jose Fonte, who are 34 and 35 respectively. Should they show their age, they can easily be exploited by any of the other teams, and can easily be outrun. However, these factors are mere blips on Fernando Santos’ radar, and they should comfortably finish second, barring a shock exit. Can Portugal carry Ronaldo to glory? Source: Getty. Morocco’s greatest asset is their head coach, Herve Renard, who is the only manager to win the African Cup of Nations twice. 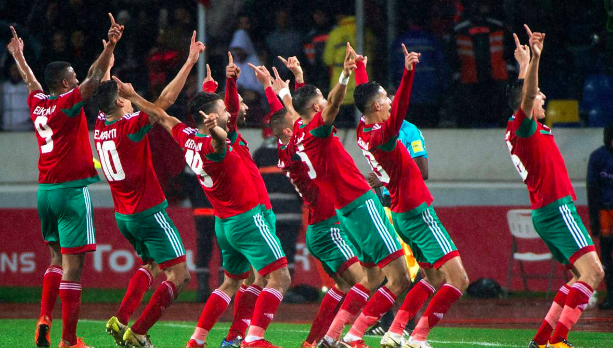 Under his guidance, Morocco saw off the Ivory Coast and Gabon to top their qualifying group; one of the few teams to do so without conceding a single goal. 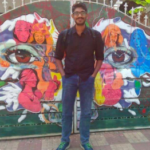 However, he finds himself in a difficult position, and while qualifying into the knockout rounds is not impossible, it definitely is herculean. Morocco will look to Juventus Centre-Back Mehdi Benatia for inspiration, as he leads the team from the back to what is hopefully not a short run in Russia. It looks like he will be partnered with Wolves Defensive Midfielder Romain Saiss, indicating that Renard might want to derive offence from defence. The attack will depend greatly on Hakim Ziyech, having scored 9 and assisted 15 for Ajax in the Eredivisie. The Lions of the Atlas will look to defend deep with measured attacks, playing with caution and guile at the same time. However, the squad’s lack of experience could prove to be their greatest enemy, and the team might stumble along the way. Despite being in a group with the likes of Spain, Portugal, and Morocco, Iran is Asia’s best hope in Russia. And for good reason. This spunky team from the Middle East has won 27 of their last 38 games, drawing 9 and only losing 2. What the team lacks in experience, they make up in pure pluck. Carlos Queiroz is likely to play with a well structured 4-3-3 formation, with a Defensive Midfielder giving more stability to the defence. Expect a lot of long balls and intensive pressing, with the squad having more attacking potential compared to their run in Brazil. 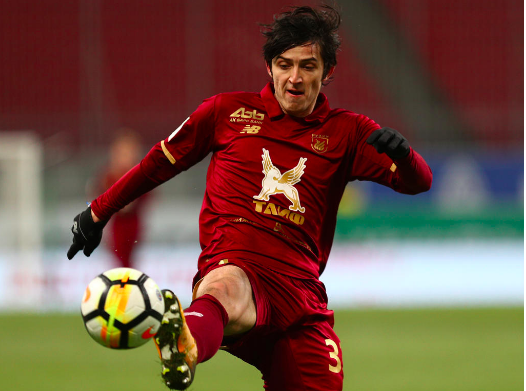 Sardar Azmoun, nicknamed the Iranian Messi, is their star striker, scoring 11 goals in their qualifying run, and is rumoured to be on the radar of teams like Liverpool and Lazio. Another player to look out for is Alireza Jahanbakhsh. The two-footed 24-year-old Winger is a threat and will try his best to belt in crosses to both Azmoun and Mahdi Teremi. However, to say Iran will qualify to the knockout stages is optimistic, to say the least, and somewhat improbable. However, look forward to passionate and aggressive football from Team Melli, and don’t be surprised if they win our hearts. The top two spots water down to a clash between the Iberian cousins, with both Morocco and Iran playing kingmaker. Spain should emerge on top of the group, but that’s what they said in 2014 as well. La Furia Roja will look to dispel the ghosts of the past, playing disciplined football the way they always do. However, Ronaldo, looking to fulfil his World Cup dream, might make all the difference. The match on 15th is expected to be a lip-smacking contest, and might very well decide the fate of both teams. Meanwhile, while Morocco is touted to finish third, Iran might dethrone them with their never say die attitude and attacking prowess, in a typical David vs Goliath encounter. Having said all that, in football, the stats before the game don’t matter; the performance on that day does. Azmoun might lead Iran to victory against Spain, or Benatia might score a last-minute header against Portugal, and that’s the beauty of the sport. The unpredictability that makes the underdogs the heroes, and leaves the favourites in tears, which is not limited to just this group. Get hyped. If this beautiful game has taught us anything in the past, it is that the winners can lose, and the losers can win. All in the blink of an eye. Other World Cup Group Analysis.